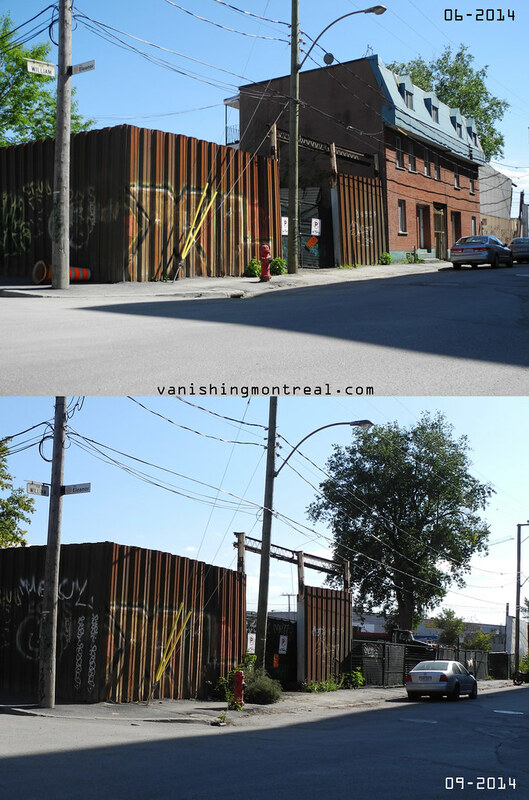 In the span of a couple of months, an old house on William street in Griffintown vanished. En l'espace de quelques mois, une vieille maison de la rue William dans Griffintown a disparue. I sure wish they got rid of that steel fence/scrap yard instead. It even seems like there was one on both sides. My apologies to the history buffs if I'm wishing the destruction of a historic fence... but it sure is awful! It's a shame for the house because it even seemed like it had a carriage door (not sure if it's authentic).